Cubby Houses A Great Range of Cubby Houses for kids. Wood Signs A Great Range of wood signs for office, home, backyards etc. Who we are Welcome to Cubbykraft Australia website we are the longest established cubby house manufacture in Australia with over 17 years of manufacturing hand crafted kids cubby houses, swings, forts, tree houses, playgrounds and play equipment, garden sheds ,kids toys and many other products for kids that are manufactured in Perth Western Australia. Many playgroups child care centers, preschools,play grounds around Australia enjoy theses robust good looking cubby houses which are designed and built here in Australia by Australians for our tough climate conditions. A Cubbykraft cubbie or kids playgrounds will all have big windows, shade areas, big verandahs with lots of shade area and heaps of room to play in safety. Cubbykraft also has timber specially treated to make sure it is child friendly and safe for all ages to play in. We also have custom manufactured slides to our requirements this means for no extra charge you will receive a commercial grade slide which are longer wider and deeper much like you would see in playgrounds,parks, mMac Donald's etc this means a better and tougher cubby house than is produced any where in Australia. How to choose your cubby The cubby house that you would choose will depend on many things. How much room do you have? How much money would you like to spend? Where do I put the cubby? What about the shire requirements? If you are going to buy a cubby house/play house it is a big investment probably the most expensive kids toy you will buy! So where do you start, give us a call or send us an email and we will make it easy as we have been helping family's purchase, build and design wooden cubby houses for over 17 years, that's a lot of cubby houses. 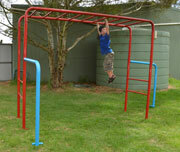 So we will make sure you get it right the first time so if you are looking for a Cubby, playground, playequipment, kids houses, play center, slides, telescope, periscope, rope ladder, scramble net, wooden toys, outdoor play, out door toys, cubby house designs, playhouse, kids houses, kids cubby house kits, kids cubby house plans, cubby house, cubby furniture, kids houses, swing sets, the cubby house or accessories you choose is right here at Australia's favourite Cubby manufacture Cubbykraft! cubbyhouse Melourne, Cubby house Brisbane ,Cubby house Perth ,Cubby Sydney , Cubbie Cairns ,Cubby houses Cubby house Perth , cubby house Canberra , kids cubby Adelaide , Cubby houses Australia , cubby house perth wa. Building your cubby house We will show you how to build a cubbie house with our easy to follow cubby house plans with step by step photo's and instructions the average home handyman can follow, also watch for new cubby house designs and cubby plans to suit any back yard as we are always working on newdesigns and models. We have a fully experienced team here to help with any of your questions and make your D-I--Y cubby house project fun for the whole family. Cubbykraft is the longest established cubby house manufacturer serving family's for 15 years..
Our unique cubby houses at Cubbykraft don't come pre-assembled or prefab so you will save some money with our factory direct cubby prices, for the most helpful and friendly down to earth service on cubbies to meet your children needs give us a call or e-mail as.